Recently I posted about how to make the Playful Penguin Applique that is used in the Playful Penguin Blanket. Today I am going to show you how to make the blanket. 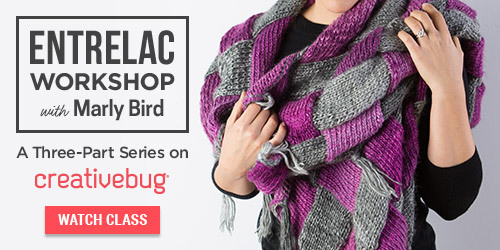 Red Heart offers the Playful Penguin Blanket as a FREE pattern on their website. It is the perfect choice for a baby blanket. Post Stitches in the pattern create texture that any baby will love to play with. As you work the pattern you will see that the stitches resemble what you would see in a basketweave. If you haven’t worked front post double crochet stitches before I will show you exactly how to do it in the pattern video (which you can see below). One of the great things about this pattern is that you can customize it in color but also by the applique that you choose to use. If you go to my Pinterst page you will see a new board where you can see a wide array of applique options that you could use to adorn this blanket with. Another option would be to personalize the blanket with a monogram (also found on my Pinterest Board). The yarn in this pattern is Baby Hugs, one of Red Heart’s newer yarns that is wonderful for baby items! Baby Hugs comes in two different weights, medium and sport, and each is available in 18 colors. For this pattern you will use the medium weight. Baby Hugs is unique in that it is made in the USA and it has been tested for harmful substances. Red Heart Baby Hugs has been tested and certified according to Oeko-Tex Standard 100 Certification. This gives you the assurance that Baby Hugs is free of harmful levels of more than 300 substances. I just watched both the Playful Penguin Blanket & the Playful Penguin Applique videos. (Just DARLING!) I don’t understand, however, why it’s necessary to do 7 rounds of black and THEN 6 rounds of white and sew them together! Wouldn’t it be much simpler to crochet the 6 white rounds and just add 1 round of black to the outside of it?! The addition of the eyes & beak would still be hidden between the back of the Penguin and the front of the blanket, right?! Yes, I totally agree with you and thought the same thing. I figured that the designer wanted it to be more 3D so the extra layer for the belly would do that. But if I was making it for me…I would do just as you suggested.